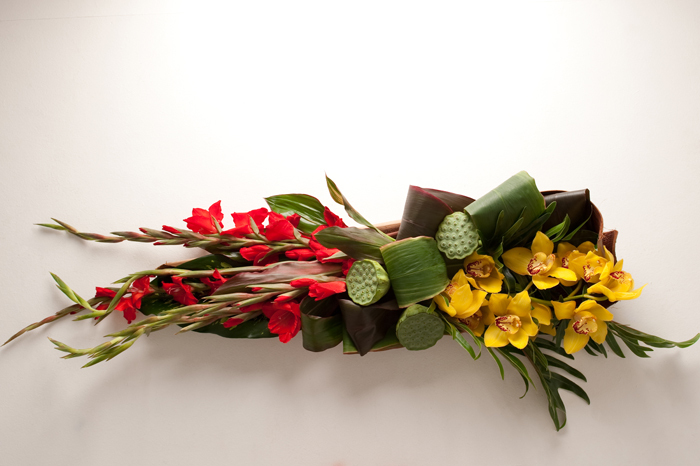 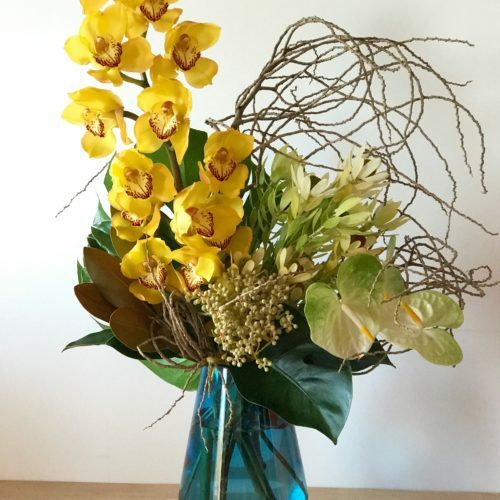 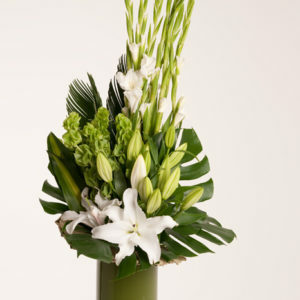 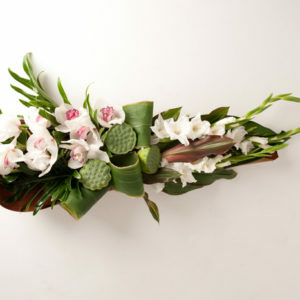 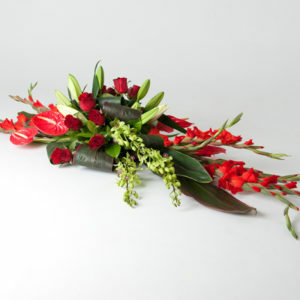 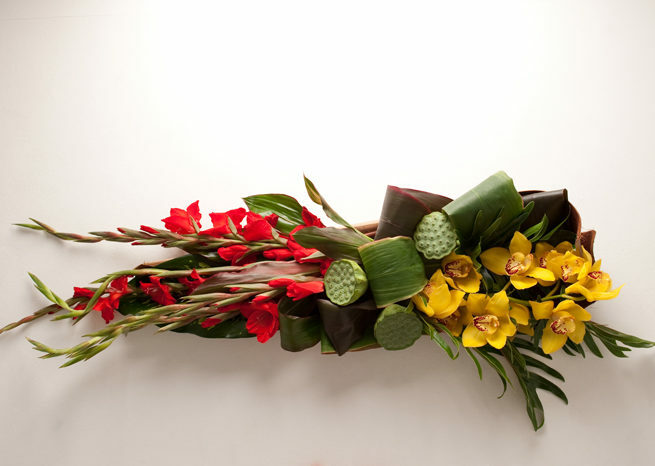 A modern design of gladioli, cymbidium orchids, lush tropical foliage and lotus pods arranged in a beautiful palm husk. 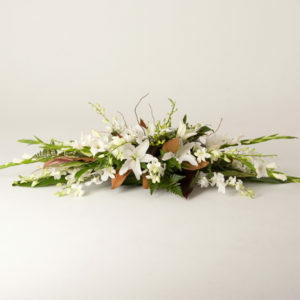 Perfect for a sympathy tribute or even a table arrangement. 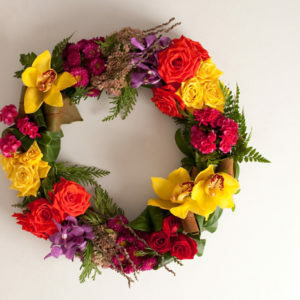 (This design is based on seasonal availability and some colours and flowers may vary) Please contact us for a custom colour theme, size and quote. 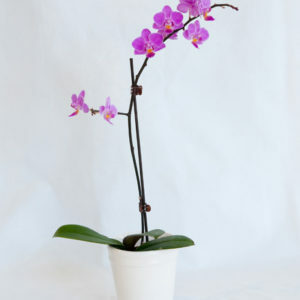 Large size shown.